Not really a question so much as an observation... when I got my suggie (7 years ago), he was super pouch and food protective. 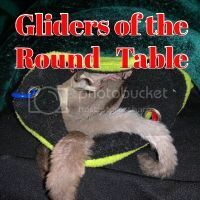 Supposedly he beat up some other gliders for his pouch. I think the food issues were largely due to his past owner/s starving him and also him being poorly socialized and super scared/protective of his only safe haven in a noisy/less than ideal environment. He's very nice now as ya'all know! But he has the weirdest quirks... he gets into these very strange "moods" where he'll find something in my closet like a shoe or a hoodie and decide to sleep in it. He acts normal for the first couple days aside from obsessively sleeping in the shoe/whatever every time I let him out of his cage, then he slowly gets more and more aggressive about it, and I take the item away and he goes back to his good side. :| It's like he's possessed by the shoe. Example; I had these big fluffy boots that he started sleeping in. I went to take him out and he screamed bloody murder and bit the heel of my hand. The boots have since been hidden from him. He did the same thing with a box of sweatshirts and lunged at me, ended up biting the sweatshirt. Sweatshirts are now gone. The strange thing is that he's super chill and sweet - neveeeer bites, lets me take him out of his pouches or blankie or anything in/around his cage. I think he's too set in his ways to change and it's actually kinda hilarious to watch how upset he gets over his shoes, but any clue WHY he still does this? I've had him most of his life and he's really social. My roommate witnessed the fluffy boot episode and was shocked cause Fev is usually so lazy and calm. 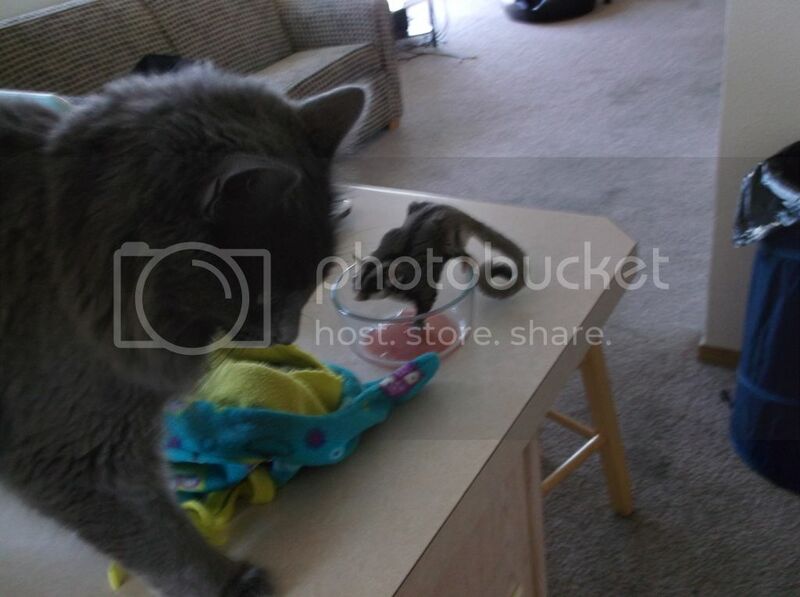 Also - he can sometimes be kinda snippy towards my cat over food, but not like the pouch thing. I can take treats back from him and he won't care. Last edited by Temulin; 08/30/16 05:36 PM. Sound like if he finds it and claims it, it is now his and keep your mitts off. I wouldn't let him develop a relationship with anything he finds and claims as his. It is kind of like he is out in the woods, being a wild sugar glider and has picked out a tree to live in. Oh Fevy, why obsess over such things? It's a part of who he is, his personality I would say. Skadoosh was always looking for the highest point she could get to, then glide back to me after exploring the first time of course. But one day she took notice of the shiny door nob, and was obsessed with jumping to it. She was never successful, so I began to deter her, and she was relentless so it was ongoing determination on her part. Eventually circumstances (I believe two separate things) changed her out of cage play experimentation, but she still has obsession over door nobs when we are near them, that has never changed in her. Then my Lulu, she had a pouch, well say entire cage protection issue when I first got her. She has come such a long way, but on occasions shows signs of reversion back to some protective ways. My point, they have something built into their personalities, that even though they may improve on what we consider negative behaviors, they are still a part of them. Fevy may have developed some of his behaviors due to his first home prior to yours, but his personality determined how/why he developed the specific behaviors he did, so it's still a part of who he is. Got to love the Fevy though, right? He's a cute & clever character! I agree with what has been said before. I've seen many pets (much like humans) that develop a habit or thought-process early on & then can't shake it. Example: Girl I dated/lived with several years ago had someone try to break in to her house when she was home alone & like 12 or so. Didn't get in, but even as an adult she still had a lot of anxiety of being home alone. She would always let junk pile up near windows & wanted the shotgun under her side of the bed. Ex 2: My last dog was mistreated by a couple of prior owners who would leave her alone for long periods of time. Due to the issues she developed from that, several other owners would give her up quick. Queenie became desperate when I would leave her behind to go out for the day (like, to work). She was just convinced I would not be coming back. Learned behavior as a puppy/juvenile, I never got her past it. Fevy is such a good glider in so many other ways, I wouldn't be too concerned. He might never grow out of being protective where is 'safe place' is concerned, but you can discourage it as soon as you see him developing a 'new safe place' by removing his access before he becomes attached. Last edited by Hutch; 08/31/16 05:29 AM. Feather, your post put it perfectly. It's like he goes into wild jungle mode and tries to stake out his territory. Glad you all don't think I'm being a mean mommy for taking his treasures away. I think he's come to view his cage and things like the couch/my bed/etc. as kinda "common ground" but anything new is his and only his. Terry - Haha! OMG I loved reading you guys' experiences. Poor Skadoosh and her door knob addiction. I guess just like people gliders have their little ticks. I'm always surprised by how much detail they notice. Well said... I do love my lil fluffball despite his weird shoe/sweatshirt obsessions. What you said about Lulu reverting back to her thug ways is exactly what Fevy seems to do. It confuses me sometimes, but I do believe it's just the way he is. I think he's annoyed that I keep moving "his" things on him. Hutch - my cat actually has pretty bad separation anxiety (weird for cats I know). I think strange animals just end up with me. But you bring up a good point... just like people have ticks, I guess suggies do too. Fevy is a mostly reformed street glider so I think he's doing okay. I swear though... when I pulled the sweatshirt box down, he screamed so loud that I thought he caught his nail or hurt himself somehow. Nope. Just really liked those sweatshirts. This has been an insightful thread. Even after owning Fev for so long, I feel like I learn new things about suggies every day. This is about as far as Fev's food protectiveness goes... luckily it seems to be only other animals that bother him, not people. He could not care less about me messing with his food, but sometimes he likes to tell Hari not to drink his juice... poor cat does this pathetic "no eye contact, pretend I don't see him" submissive thing and waits until he moves to drink.